With just a couple of days to go of the summer transfer window the signs are worrying for Manchester United as we are still yet to sign a new centre-back. However, several names continue to be mentioned and it may just be a case of the club trying to bring the transfer fee down. 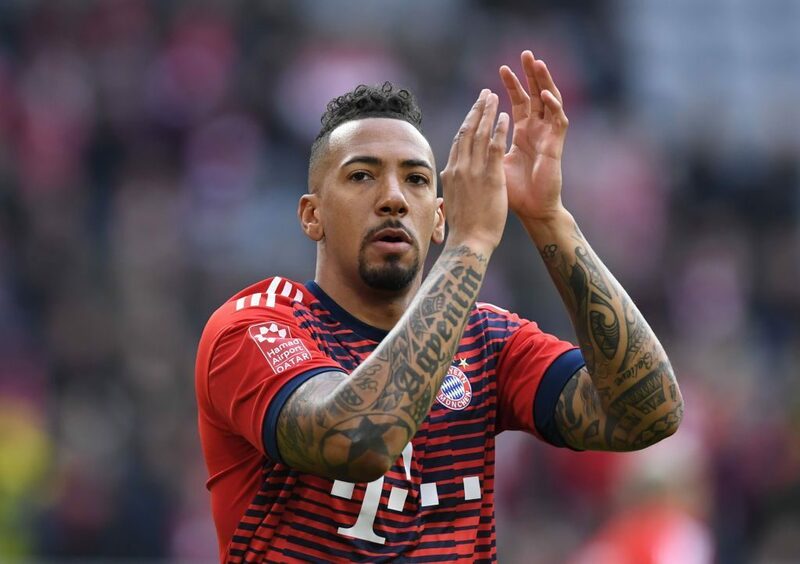 Good news is that reports in Germany claim we have opened talks with Bayern Munich voer a possible deal to sign £44.5 million-rated centre-back Jerome Boateng. Victor Lindelof and Marcos Rojo are both linked with a move away from the club whilst Jose Mourinho has never appeared to be keen in either Phil Jones nor Chris Smalling as regulars in our first team. 2014 World Cup winner Boateng could be the answer. The 29-year-old has already expressed a desire for a new challenge this summer and the Mirror are claiming that we opened talks with the Bundesliga champions over a possible deal following our friendly at the Allianz Arena on Sunday. Jerome Boateng has a short stint at Manchester City in 2010-11 but only made 16 Premier League appearances, most of which were at right-back. He has since spent the past seven seasons at Bayern Munich, winning the Bundesliga on six occasions as well as the 2013 Champions League. The German international has seen his game time cut down over the past three seasons due to a mixture of injuries and the likes of Nicklas Sule being on their books. This seems like a huge opportunity to bring in an experienced centre-back before the start of the 2018-19 Premier League campaign, which starts this Friday at home to Leicester City. We shall have to wait and see over the coming days if we can push a deal through.